The adventure: The workshop is to develop a new music creation collectively from instruments based on new technologies or digital devices such as computers, iPhones, iPads ... 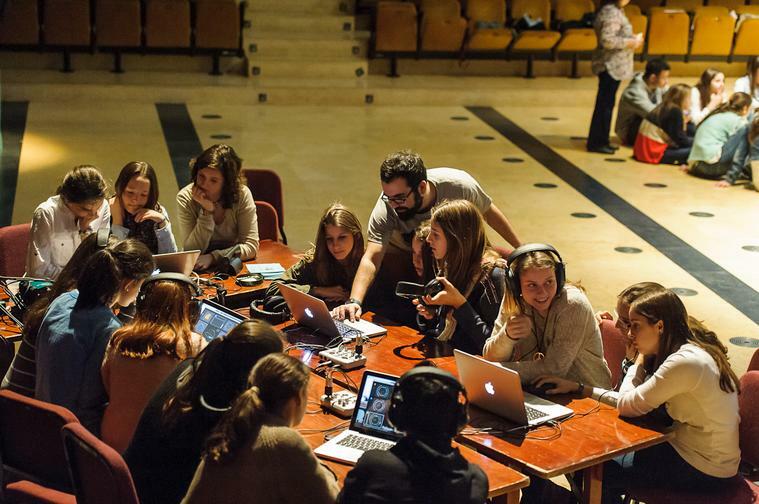 Participants will work with programs created by the Fundaçao Casa da Música de Porto and other free programs that can continue after experiencing at school. Eventually trainers offer a small performance. -Create a collective music with digital instruments. -Discover the immense sound possibilities of the composition through mobile or digital technology.